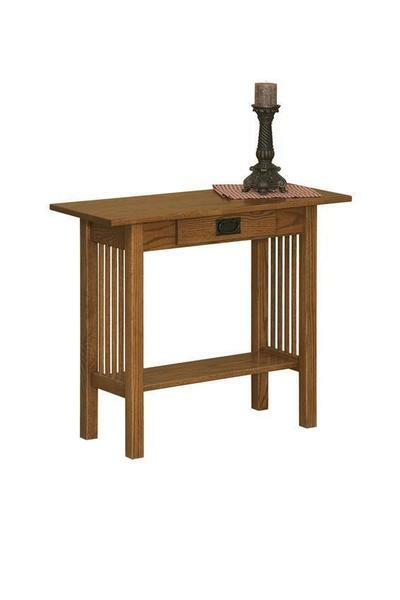 This Arts and Crafts Console Table or Hall Table features a handy small dovetailed drawer for convenient storage. Use this this table in the living room, entryway or hallway. This Mission accent table is custom made just for you so that you can choose the wood, finish and hardware you desire. Create the look to match your existing furniture or order more Mission furniture from DutchCrafters for your whole home.